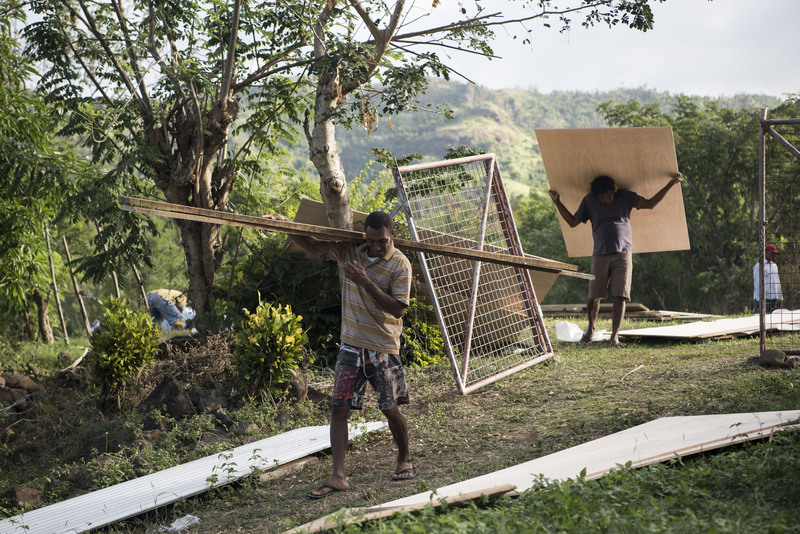 The Namarai community helps transport building supplies from the main road back to their villages to continue the rebuild efforts after Cyclone Winston. 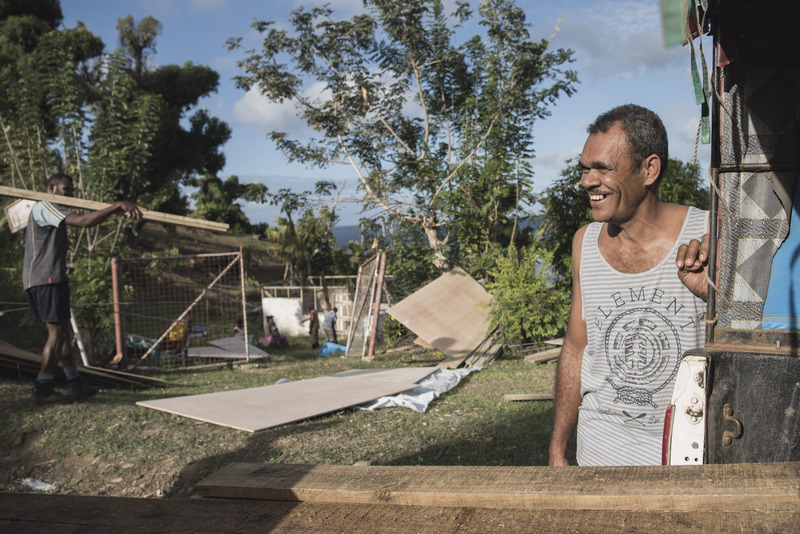 The Fijian Government provided support for communities badly impacted by the storm via income support and building materials. 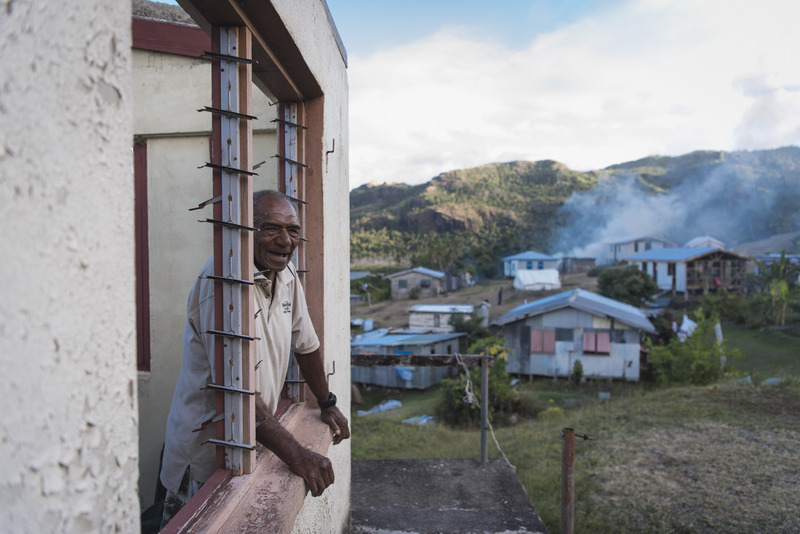 Rupeni Vatugata, 75, stands inside a family home badly damaged during Cyclone Winston in 2015, in his village Namarai, Ra Province. The Category 5 storm tore the roofs off many houses, in some cases lifted entire homes from their foundations and sent them crashing into the countryside. Corrugated iron and trees could be seen flying through the air. Those same pieces of iron were used to build temporary houses (pictured behind). 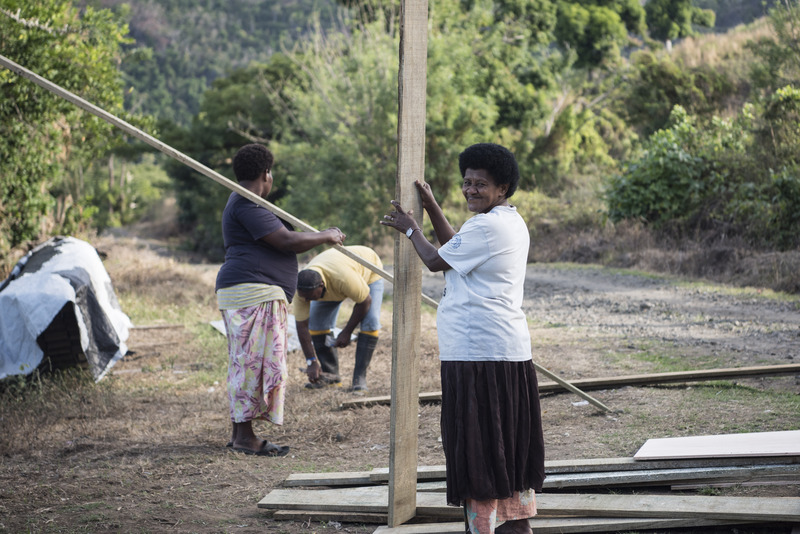 The Fijian Government has provided support to communities badly impacted by the cyclone through provision of building supplies for new homes and income support. 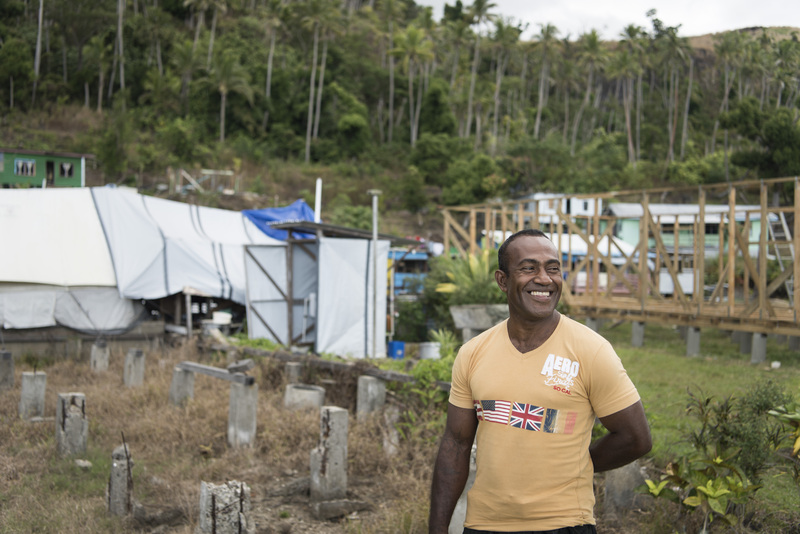 It was vei lomani that saw communities across Ra come together in the wake of Tropical Cyclone Winston in early 2016. 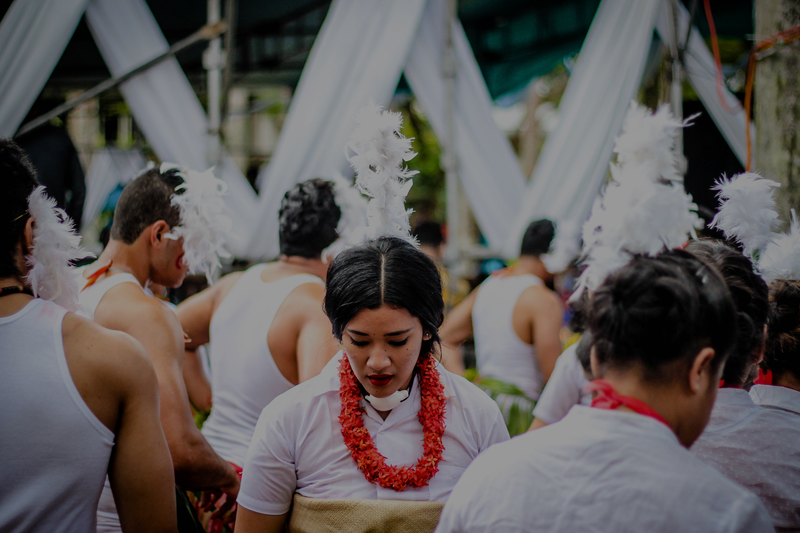 Winston – the biggest storm ever recorded in the Southern Hemisphere – impacted 62% of the Fiji population and caused F$2 Billion in damage (20% GDP). It killed 44 people, injured hundreds and left 131,000 people homeless. The Category 5 storm first made landfall in Ra, leaving its communities completely devastated. 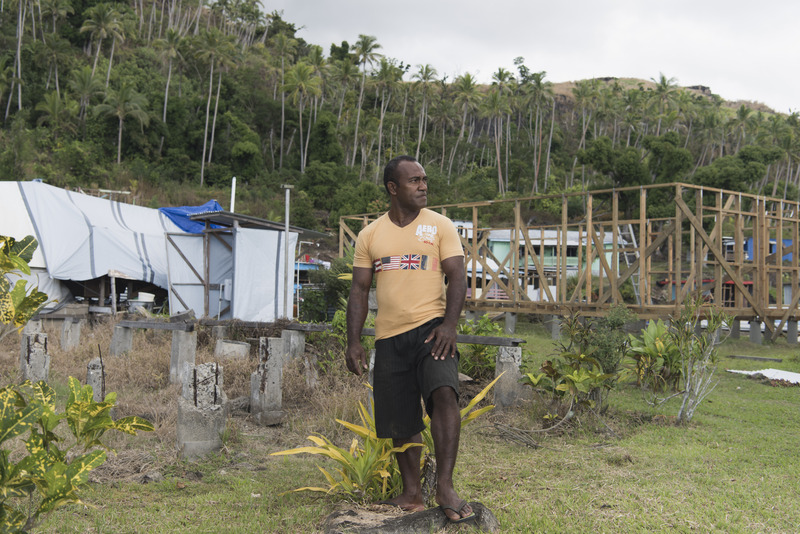 Raivolita Tabusoro, 43, stands at the site of his former home, current home and future home in Nabukadra, a coastal village in Ra Province, Fiji. Ra Province was one of the hardest hit by Cyclone Winston in 2016. Raivolita’s home was ripped from it’s foundations along with most of the other houses in the village. He describes the experience as if a bomb had landed in the village – there was nothing left when the sun rose the next morning. In the 18 months since the storm hit, he has lead the village in rebuilding physically and financially, leaving his own home until last. Portrait of Asmita Kamal, 24, a second year teacher at Bayly Memorial School, Barotu Village, Ra Province on Fiji’s largest island, Viti Levu. Bayly Memorial School was badly damaged during Cyclone Winston in 2016. The Category 5 storm ripped the roof off all classrooms and destroyed all of the books and school supplies. 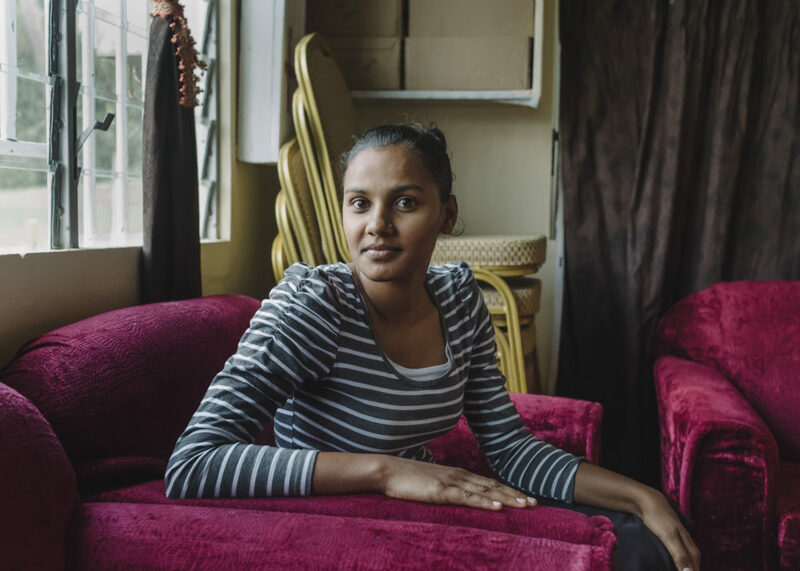 Asmita was supposed to move into her dorm on the school grounds the day the storm hit. Instead, she stayed with her family to help protect them and their home. She returned to the school to find it in ruins. 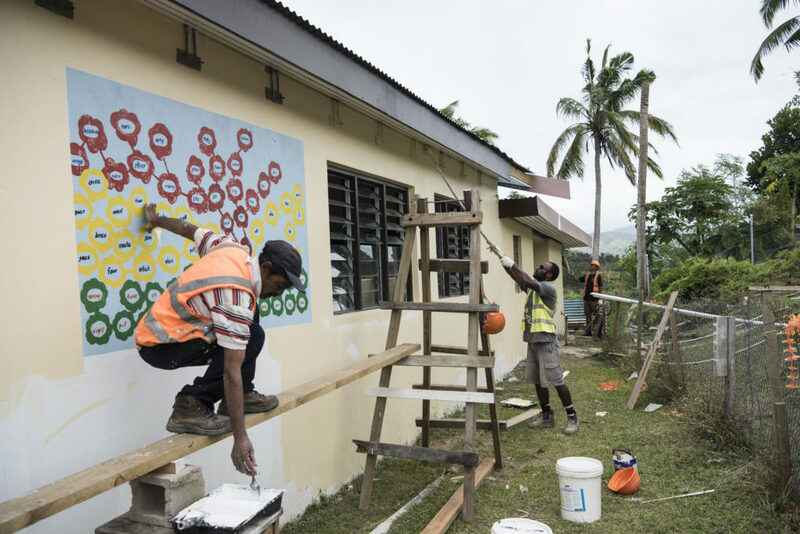 Workmen put the finishing touches of paint on Bayly Memorial School after a 18 month rebuilding effort following Category 5 Cyclone Winston in February 2016. The storm was the strongest ever on record for the southern hemisphere and hit Fiji’s Ra Province, where Bayly Memorial is located, first. High winds ripped the roof from the school building and destroyed all of the school furniture, books and supplies. For two terms, the 42 primary school students attended class at other schools. In August 2016 (Term 3), the school reopned with two out of four classrooms. As of July 2017, two classes fit in each classroom. In August 2017, the final two classrooms were expected to be complete. 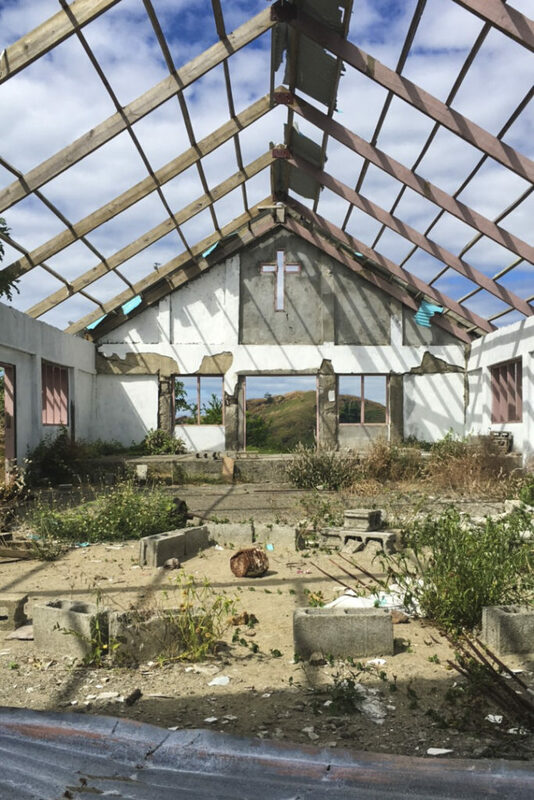 Destroyed church at Nacoabao, the first village to be hit in Ra Province as Cyclone Winston made landfall in February 2016.